differ from the Presbyterian Church, U. S. A. (PCUSA)? We are an "evangelical" church, even though this designation can create potential misunderstanding in 21st century America. To be evangelical means first and foremost that we believe the 66 books of the Holy Bible to be the Word of God written; fully authoritative for faith and living and without error in the original documents as God's Spirit spoke through chosen human vessels of his self-revelation. The Holy Scriptures are an infallible rock of divine authority upon which we can stand secure in our knowledge of God. The Bible is the epitome of absolute truth, telling us "all we need for faith and godliness." Being evangelical also means to be Christ-centered. Jesus of Nazareth was the unique revelation of God; the second Person of the Holy Trinity. Jesus is "the way, the truth and the life... no one comes to the Father except through Him." He lived a sinless life in perfect obedience to the plan of God for redemption of all people he eternally designed to save. Christ's shed blood on the Cross was our substitutionary atonement. He took our place as the Sinbearer before holy justice. Therefore, by faith in him alone we can be forever justified from sin. His resurrection is our restoration into the eternal life God intended us to have, which we lost in the fall into sin. His future coming will be bodily and glorious, immediately marking the grand event that brings down the curtain of this present world with a judgment of condemnation for the lost. It begins eternal bliss for the saved, who will dwell in resurrection bodies, in the new heaven and new earth as the home of righteousness. Being evangelical requires from us a consuming passion to make Jesus Christ known to all in the world as the Savior and Lord of all who will believe in him. In him is assured knowledge of eternal life in glory; apart from him is only woe and eternal doom. We have a great task to carry the good news of this gospel to our neighbors and the nations. Westminster desires to be a "sending church:" supplying the world missionary endeavor with funds, resources and lives committed to making Christ known to the lost. We realize that all of humanity is fallen into sin and we are separated from God by our basic nature. What Adam and Eve did in the historic Garden, we each do every day of our lives - suppressing the knowledge of God and choosing to go our own way. This road of rebellion leads to both physical and spiritual death, unless God should intervene by his grace. Every part of our human nature, even the most commendable act we might do, is at least tainted by selfishness and sin. We believe in the sovereignty of divine grace. In all matters of creation, salvation and providence, God Himself comes first! He is the divine Initiator of our salvation. So doctrines like "election" cannot be avoided; the Scriptures clearly teach that we are born anew by the mysterious plan and work of God's spirit in us, even before we consciously begin to believe. Grace not only initiates our salvation, it sustains us every step of life's way. Just as God has worked in grace on our behalf without any merit or qualification being owed to us, our methods of ministry must be grace-based and gracious! We forgive as we have been forgiven; being grateful in all things for the mercies of God and seeking out the broken person to find wholeness from trusting in Jesus Christ. We seek to present a warm and winsome expression of the Reformed faith. In the Christian life, once we are indwelt by the Holy Spirit who is in every true believer, we enter a great warfare with sin, knowing that "Christ in me" will ultimately triumph! We will finally be perfected after our death, despite the real struggles we must endure in temptation and grief today. So we endure in hope, enabled by the Spirit to live a new life. Our congregational history has been written in great detail in a volume called A GOOD WORK BEGUN, written by elder William A. Mehler, Jr. This booklet traces the development of our congregation from 1968 - 2003 and is available from the church office. For a copy, please contact the church office. In 1968, Presbyterians in two different Lancaster congregations of the mainline Presbyterian Church realized deep dissatisfaction over expressions of liberalism in the national church, filtering to the local level. A gathering of concerned lay leaders occurred on May 17, 1968 which concluded in a determination to form a new congregation that would be Presbyterian in government and thoroughly Biblical in its ministry. Westminster's early worship services were held at nearby Lancaster Bible College beginning in July 1968. The Rev. Wilbur Siddons was called to be the first pastor and quite soon the new congregation counted about 150 adherents. Growth was steady in early years as people worked together in a united fellowship. Affiliation was secured at first with the Reformed Presbyterian Church, Evangelical Synod. By 1970, the first facility - a classic white New England colonial style worship center with related rooms - was built on land at 2151 Oregon Pike in Manheim Township, just north of the city of Lancaster. Successive enlargements followed as the congregation continued to grow. The land parcel was expanded as God providentially made adjacent land available, until a total of 18 acres was acquired by 1999. In 2006 the church completed a major expansion that doubles usable space of the building, to about 96,000 square feet and provides a lovely "meetinghouse" style sanctuary seating 1,150 people for worship. In 1982 the congregation became part of the Presbyterian Church in America, when the RPCES merged with this conservative sister denomination. 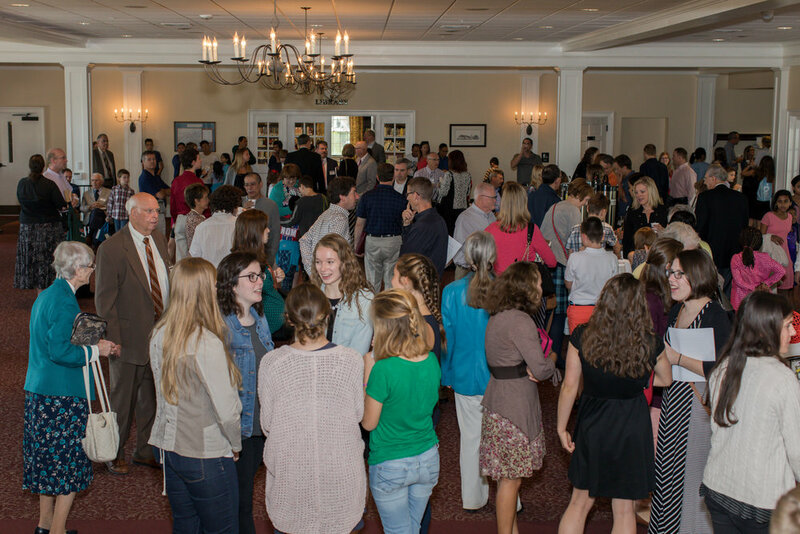 Soon after the congregation's thirtieth birthday, the active membership had topped one thousand. Among distinctives of Westminster Presbyterian Church for which God receives the glory is a commitment to give about 33% of our general budget funds (plus special offerings) to missions and evangelistic outreach. Also, this congregation has planned and carried out the founding impetus for five local "daughter" churches: Reformed Presbyterian Church of Ephrata (1982), Wheatland Presbyterian of Lancaster (1995), Harvest Presbyterian Church of Lampeter (2002). 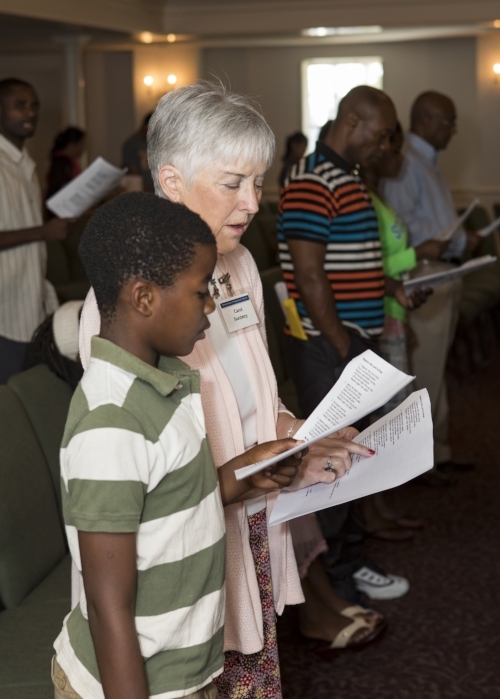 In 2007, African-American pastor Stan Morton began to gather a nucleus in regular worship for New City Fellowship PCA, a congregation for Lancaster city residents. In 2015, Proclamation Presbyterian of Mount Joy was fully organized. In matters of church order, we are committed to a Presbyterian system of government. This means that ruling and teaching elders, chosen and ordained according to Biblical standards, bear the office of oversight and rule in each local church. Ordained teaching elders (pastors) and ordained ruling elders serve together as a governing board called the Session. Besides ruling elders and teaching elders, there are ordained deacons who have a ministry of practical service and mercy tasks within the church. The ordained offices are open to men only, consistent with I Timothy 2 & 3. There is a non-ordained board of deaconesses who assist the deacons especially in ministry to other women. The primary power assigned to the members of the congregation is to elect their leadership as pastor, ruling elders and deacons and to approve major financial decisions as a corporation. Every PCA congregation owns all its property, buildings and real assets by sole entitlement, with no claim ever being placed upon these assets by the denomination. We are in voluntary cooperation with other like-minded churches in a regional Presbytery and a national General Assembly. There is no outside hierarchy to give orders to the local congregation. The presbytery and General Assembly receive authority from the local churches, not the other way around. The Book of Church Order for the Presbyterian Church in America provides detailed guidelines for the structure of congregational life. This book can be examined in our church library. Click here to see a list of current officers. The Word of God in Holy Scripture is our one infallible and premier authority. The Apostles' Creed or the Nicene Creed are excellent short summaries of what we believe. We use these often in our worship services. A more full statement of our creed is found in the Westminster Confession of Faith along with the Westminster Larger and Shorter Catechisms. These detailed doctrinal statements were written in the early 1600s in England, by dozens of Puritan scholars and pastors who worked together for years; many of the same people who helped to translate the King James Bible were involved. This great Reformation creed has stood the test of time across 370 years. It once was the standard of faith for all Presbyterian bodies. It is an eminently worthy guide to Biblical doctrine, but as a man-made document it is always secondary in authority to the Bible itself. All PCA ordained officers take a solemn oath that says they accept these documents as "representing the system of doctrine taught in the Holy Scriptures." A copy of the Westminster Confession of Faith can be found here. To become a communicant member of Westminster Presbyterian Church requires a personal profession of faith in Jesus Christ as Lord. Elders of the church ask to hear your spiritual history, in a friendly interview. Members must also have been recipients of some Trinitarian baptism either at the time of becoming a member or in the past. We hold 10-week membership classes in our Adult Sunday Class at 9:30 AM, twice a year. These classes run from the first week of March to the end of May, and again from the first week of September to the end of November. Attendance is required of all would-be members. Click here for more information. Sunday morning attendance at our two morning services averages about 1,100 persons. Total membership of Westminster in the year 2015 is above 1,200. We do attempt to oversee our members with active pastoral care for them and their families as needed. Those who move away from the area or become inactive are removed from the roll within two years. Beyond giving our people compassionate pastoral oversight, Westminster Church does practice formal church discipline when no other means can recall an unrepentant person from their open, scandalous sin. Since its beginning in 1973 as an evangelical Presbyterian denomination, the Presbyterian Church in America has grown from about 40,000 members primarily in the southeastern United States, to become 380,000 members in more than 1,750 congregations located across the USA and in Canada. You can learn more about the Presbyterian Church in America by viewing the PCA denominational web site at this address: www.pcanet.org. The theme of the 'PCA' from early days has been: "True to the Scriptures, the Reformed faith, and obedient to the great Commission of Jesus Christ." Emphasis on missions and outreach has led to the founding of scores of new churches all over North America. We also send forth the largest Presbyterian international missionary force in the world, led from our office in Atlanta called Mission to the World (MTW). We believe in reaching out to tell the gracious gospel of God's saving truth in Christ. The Presbyterian Church in America is not affiliated with either the National Council of Churches, or the World Council of Churches. We do have partner relationships with the National Association of Evangelicals and many other organizations of evangelical believers, particularly missions organizations with whom we link arms in cooperative gospel ministry. The PCA supports a fine Christian liberal arts college in Covenant College, Lookout Mountain, GA. Visitwww.covenant.edu to learn more about the college. Our denominational seminary is Covenant Theological Seminary in St. Louis, MO. Visit www.covenantseminary.edu for more information on the seminary. The PCA Foundation offers a variety of charitable financial services to help Christians fulfill their stewardship responsibilities and carry out their charitable desires. We attempt to monitor links to external content on a regular basis. However, Westminster Presbyterian Church cannot be responsible for the content of any site external to our own.